Like we needed another reason to consider Joss Whedon a class act. If you’ve ever lived in a city that was taken over by a film crew, you’re well aware of the headaches involved — celebrity sightings never seem worth the extra-long commute, the complete lack of access to your favorite coffee shop, or being treated as though you’re the outsider and the one in the way. Even just an acknowledgement or a thank-you from someone involved in the filming might make up for it, but when does that ever happen? Filming for the new Avengers flick is set to begin in Seoul, Korea on March 30, and before his cast and crew swoop in and disrupt the goings-on of the city’s residents, director Joss Whedon released this preemptive video apologizing for the “mess” the process will inevitably make of the city. 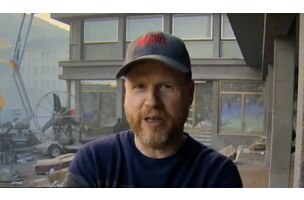 The tone of the video comes across as genuinely gracious, grateful, and appreciative of not only the city’s cooperation with the filming, but appreciative of the city itself, which Whedon seems excited to portray to an American and world-wide audience.